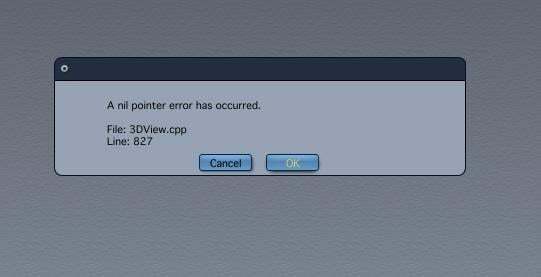 An end of file error occurred while executing open . . . .
Get the same message with a recent copy of the file which used a different camera - so can't open either. File size is just over 4GB. Has several genesis figures sledding down a hill via a motion path. Any workaround so I can open file and render it? 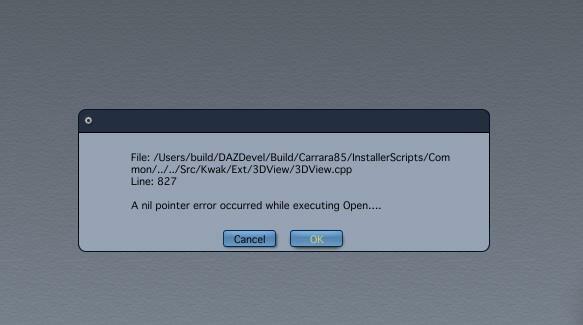 In some ways Carrara seems more stable, but I still run into many errors like this (except most don't have any error message) - and it is hard to describe how frustrating this is. The most common cause (by a very long way) is extra bytes at the end of the file preventing it from uncompressing. Rename the file "whatever.car.gz" and unzip it: Either WinZip or 7Zip can do the job (on a mac, you can just double-click it). I caution everyone to never save by quitting Carrara. If you go to close, and you get the dialog box "Do you want to save?" and you DO want to save, then hit CANCEL, go back and save, then quit. BUT Carrara 8.5 will sometimes cause this error regardless of when you save, particularly with Genesis in the scene. Is there a way to open the car file in a text editor and manually remove the extra stuff at the end of the file?? A I simply hosed :-( or are there other things to try? There are other possible forms of damage to the file, but I have never been able to recover them - if it isn't the compression bug, you might be out of luck. I was afraid of that, but thanks anyway. 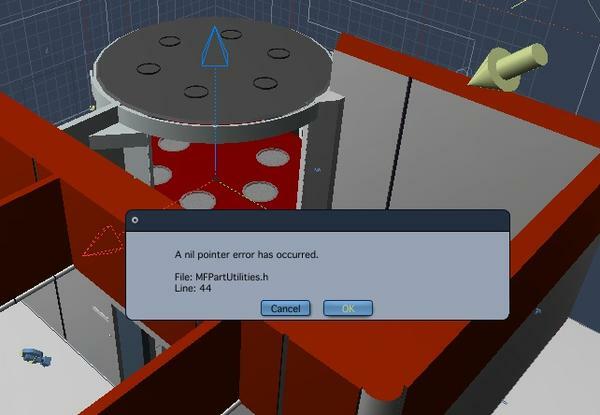 I have received similar errors when I import a .obj file *wavefront* and then save the file as Carrara native format. Several different files. One is a Poser file with the .obj files. Another is a wavefront file alone. Interestingly if I import it to DAZ 4.6, save as .duf, then import to Carrara I receive no errors. I have attached captures of the various error messages. It is interesting in that it is not the same message each time.